The US military first established a presence on the Mōkapu peninsula in 1918 when President Woodrow Wilson signed an executive order establishing Fort Kuwaʻaohe Military Reservation on 322-acres on the northeast side of Mōkapu. 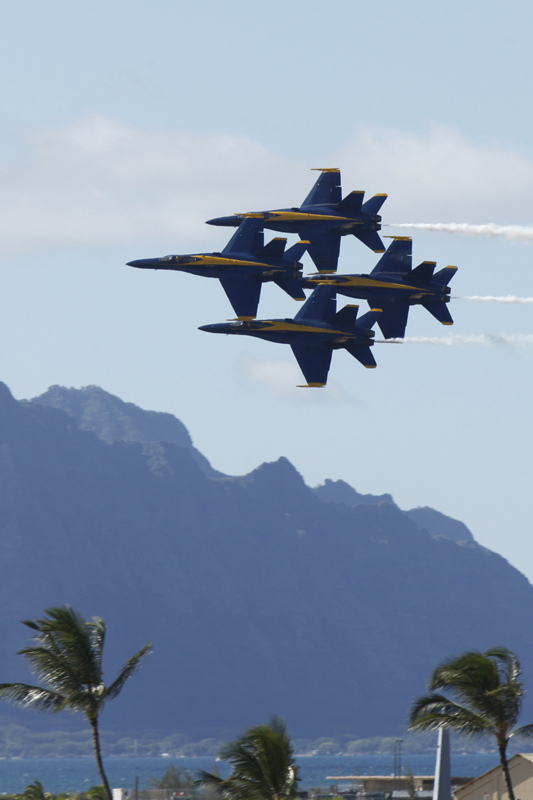 The Army stayed there until August 1940 when the Navy decided to acquire all of Mōkapu Peninsula to expand Naval Air Station Kāneʻohe; it included a sea plane base, it began building in September 1939 and commissioned on February 15, 1941. On Sunday morning, December 7, 1941, two waves of Japanese Imperial Navy aircraft bombed and strafed Kāneʻohe Naval Air Station, several minutes before Pearl Harbor was attacked. Of the 36 PBY Catalina “flying boats” based here, 27 of 33 on the ground or moored in Kāneʻohe Bay were destroyed. Only three planes, out on patrol at the time of the attack, escaped and they suffered air-to-air combat damage. 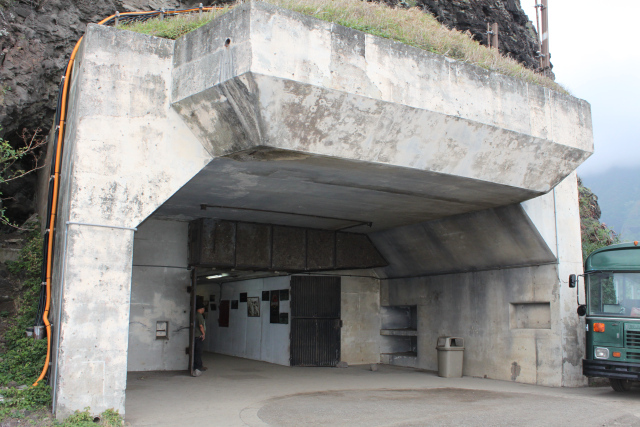 Following repairs, a 5,700-foot land runway was built and 14-inch guns were brought to be set atop the edge of Ulupaʻu Crater in the seven-story deep “Battery Pennsylvania” as part of the coastal defense of Windward Oʻahu. One of the 14-inch guns was from the USS Arizona; construction of Battery Pennsylvania was completed in August 1945. The huge gun was fired only once, in celebration, a few days before Japan’s formal surrender on V-J Day, September 2, 1945. The firing shook and, some said, “cracked” the crater. In 1941, this reservation became known as Camp Ulupaʻu; a year later it was redesignated as Fort Hase. It was never as permanent as the Navy’s air station side of the peninsula. Historic photos show tents and wooden structures dominating the landscape, even in August 1945. After the war, Fort Hase was rapidly emptied. After the armistice was signed aboard the USS Missouri in Tokyo Bay on September 2, 1945, thousands of military members of all services began to pass through Pearl Harbor and other military installations in Hawaiʻi, including Kāneʻohe Naval Air Station, bound for discharge on the US Mainland and return to civilian life. On April 1, 1946, all Kāneʻohe NAS residents and workers were evacuated as nearly 25-foot waves from the Alaska tsunami washed over the peninsula, nearly covering the runway and the Fort Hase areas before rapidly receding back to the sea. In May of 1949, Kāneʻohe Bay NAS was decommissioned and placed in a maintenance status. All property (except buildings) was transferred to NAS Barbers Point. 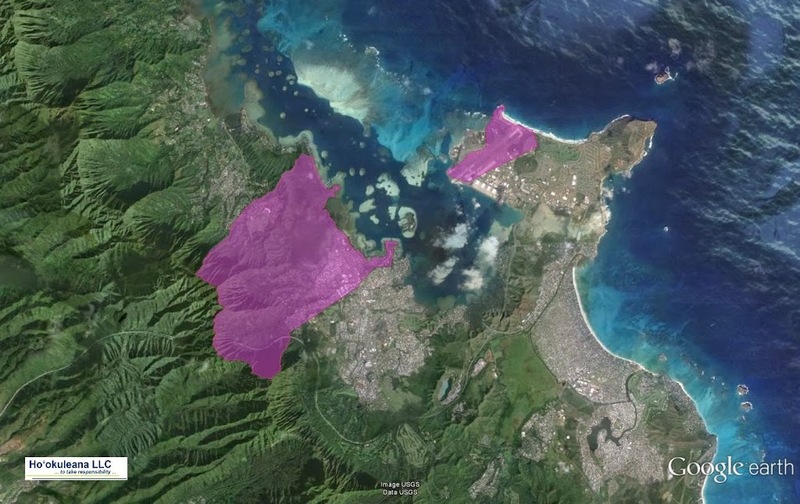 The Navy put Mōkapu Peninsula land up for lease, but no interested parties came forward. By June 1950, only a small security detail remained. 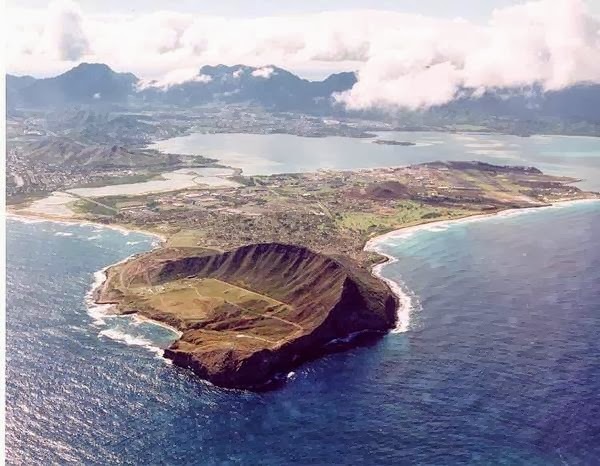 The following year, in 1951, the Marine Corps decided that Mōkapu Peninsula would make an excellent home for a combined air-ground team, consolidated all landholdings and, in January 1952, commissioned Marine Corps Air Station Kāneʻohe Bay. In 1953, the base became the home of the 1st Provisional Marine Air-Ground Task Force. In April 1994, the Marine Corps consolidated all of its installations in Hawaiʻi, under a single command — Marine Corps Base Hawaiʻi (MCBH). Today, MCB Hawaiʻi continues to serve as a fully functional operational and training base for US Marine Corps forces. The Marine Corps Air Station (MCAS) here operates a 7,800-foot runway that can accommodate both fixed wing and rotor-driven aircraft. Navy and Marine Corps units headquartered at MCB Hawaiʻi Kāneʻohe Bay, include air, ground and combat service support elements; non-operational tenants include a branch health care clinic; a judicial court; a commissary facility; veterinary services; and various Marine Corps schools and academies. All US military units located in Hawaiʻi, and others within the Pacific theater, fall under the command of the US Pacific Command, which is headquartered – along with US Marine Corps Forces, Pacific – at Camp HM Smith, on Oʻahu. The Commanding General of MARFORPAC also commands 12 Marine Corps bases and stations in Arizona, California, Hawaiʻi and Japan, and operational forces in Okinawa and Hawaiʻi, afloat on naval shipping and forward-deployed to Southwest Asia. The Commander, MCB Hawaiʻi, is responsible for all Marine Corps installations and facilities in Hawaiʻi. The image shows Marine Corps Base Hawaiʻi. In addition, I have added some other images in a folder of like name in the Photos section on my Facebook and Google+ pages.